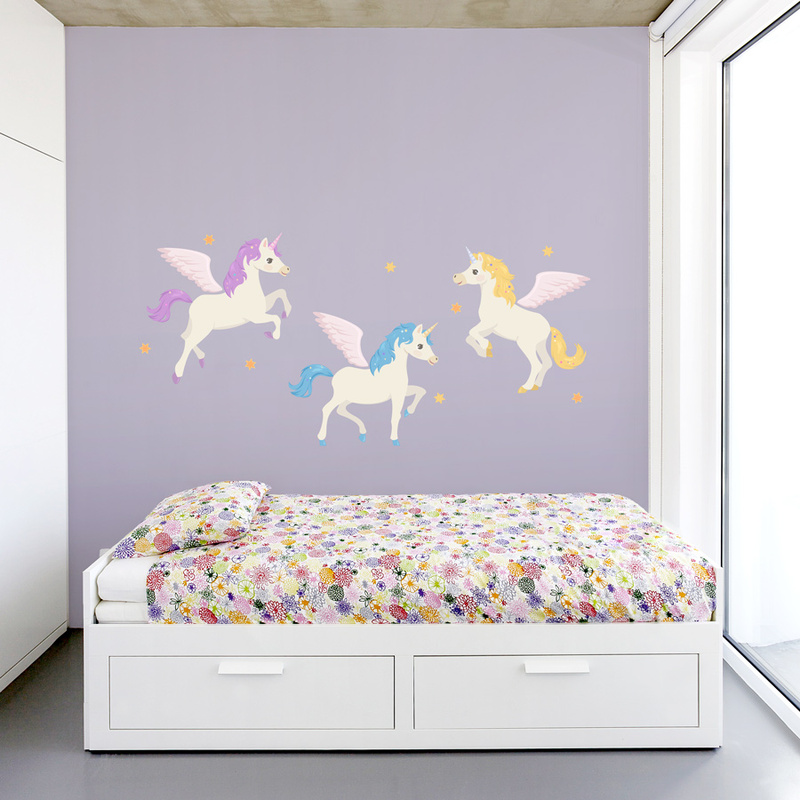 Our Unicorn Trio Printed Wall Decal will add a touch of whimsy to a child's bedroom or nursery. 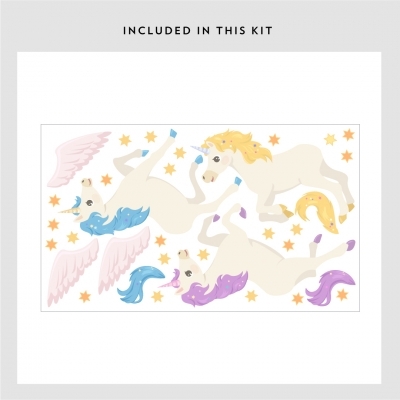 These magical unicorns will prance and fly into your child's imagination! Each kit includes 24 stars and 3 unicorn wall decals to place anywhere you like. These unicorn wall stickers are available in 3 sizes.